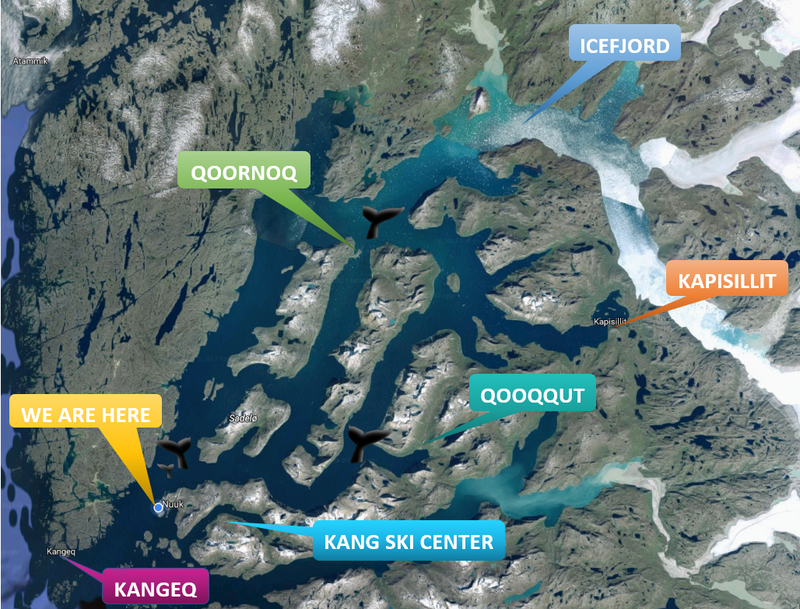 We sail through the Qoornoq passage towards Kangersuneq/Icefiord which is reached after approx. 2½ hours. The Icefiord is filled with blue and white icebergs from the two glaciers at the bottom of the fiord. The boat goes as close to the glacier-front as possible and lunch is enjoyed overlooking the glacier. After lunch the boat passes a huge bird cliff on the way to Qoornoq, where it will be possible to go ashore. Qoornoq is a settlement which is no longer permanently inhabited, but the old and well-kept houses are used for summer dwelling from residents of Nuuk. Be sure to visit the newly restored church. After approx. 20-minute stay in Qoornoq the trip goes back to Nuuk.